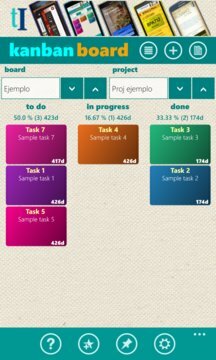 It is a Personal Project Manager APP that simulates the position of a control board with cards or post-it that move horizontally between its three sections depending on the task: to do, doing and done. 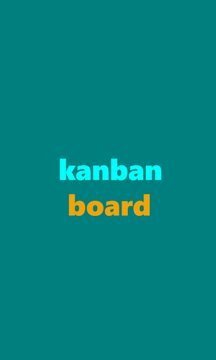 It allows the control of projects using methodology Kanban, model widely used for control of all types of projects. -	Multiple projects by Board. -	Report by project with graphics. -	Percentages of project task. -	Slide cards of tasks between sections. -	Bound task on WIP. -	Colour card for each task. -	Color of card by default for all tasks. -	In six (6) different languages. -	Individual tile with summary for each project. -	Allows archiving boards and historical projects. It is very important to us your rating and your comments, this helps us to improve and create more and better applications.